Sometimes the premise of a novel is so intriguing I just can't help but get my hands on a copy. Black Chalk is one such book. The story alternates between the friends' time at university and the meeting of the final players fourteen years later. In the later time frame, the narrator is living a bizarre reclusive life in New York City which centers on a strange routine including copious drugs and alcohol. It is clear that this character is mentally unstable and as their time at university is recounted, the consequences of the game become clear. This method of storytelling made the book a real page turner and I shot through it in a few days. This is a story which gets inside your head as much as that of the characters. It's a wonderfully conceived idea and one that highlights the lengths people will go to in order to come out on top. Any of the students are free to leave the game, yet the tenacity of Jolyon and Chad prevents them from quitting until it is too late. As the novel reaches its dramatic conclusion, we understand that those who know you best are the ones that hold the most power over you. 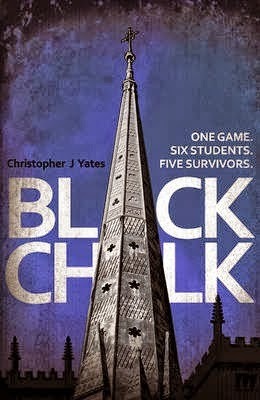 Yates leaves just enough unexplained at the end of the novel, creating a thriller which is deeply troubling. I'd love to see a screen adaptation of this! Thank you so much, Kate. "...the tenacity of Jolyon and Chad prevents them from quitting until it is too late." That's a great line, I haven't seen it expressed like that, but you're quite right. Really glad you enjoyed it. I'd love to see a screen adaptation as well. There are rumblings. We'll see.